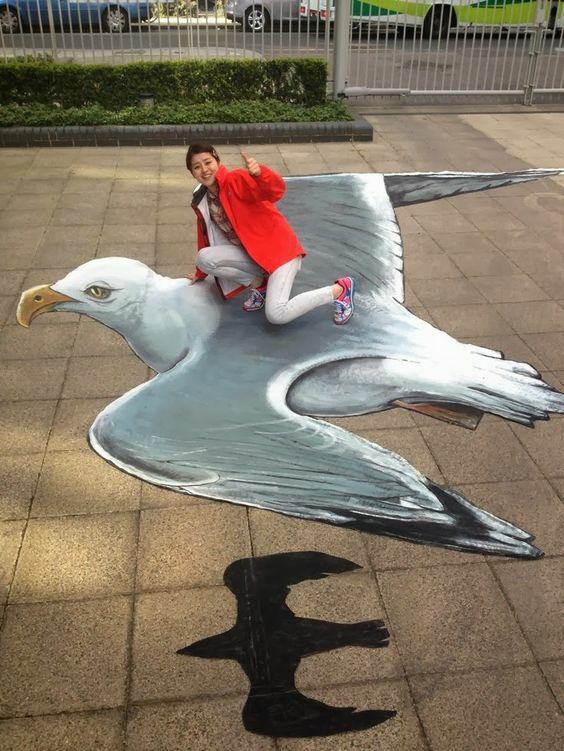 It is one of the most amusing 3d street art regarding parrot that exhibit like a wing though the air. Artist sketch the shadow of parrot to provide real look of parrot flying. Actually artist creates a sketch of parrot with side shadow on the street. Hence man sitting on the street seems like the sitting on the flying parrot and creates entertainment for the viewers.